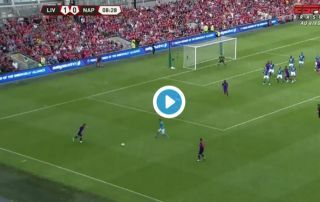 Liverpool made a great start against Italian giants Napoli in their pre-season clash on Saturday, as the Reds took a 2-0 lead just inside 14 minutes thanks to goals from James Milner and Georginio Wijnaldum. The Reds have been in good form this pre-season, as Jurgen Klopp’s side have already notched up wins against Man City and Man United. And the Reds gave themselves a great chance of continuing their good pre-season form against Napoli this evening, as they took an early 2-0 lead. Here are the goals from both Wijnaldum and Milner, two easy goals for the Merseyside club as they look to go into the proper season in good form. Where will Liverpool finish in the Premier League this season?